The sky's the limit for the popular health food chain. Chopped have announced today that they'll be offering up 320 new positions as they prepare to open 20 new stores across the country in 2017. The new stores, in Wicklow, Cork, Waterford and Dublin, will be made up of wholly owned and franchised outlets. The Irish company said it also intends to take on 110 employees in Britain as it expands overseas, with plans to open six outlets in the UK by mid-2017. 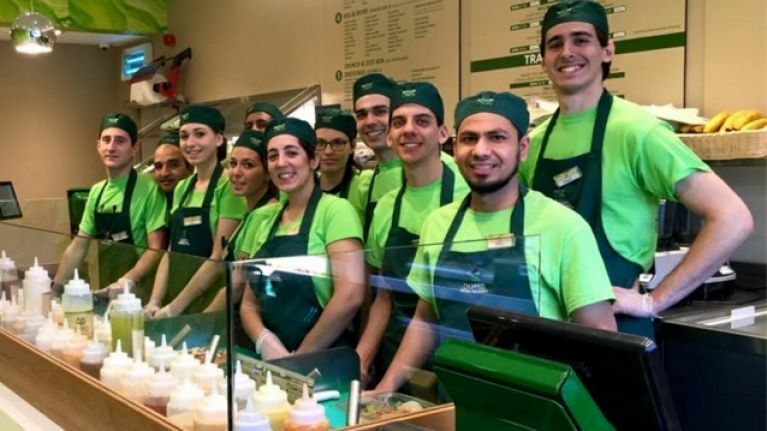 Set up in 2012 by Brian Lee, the store offers customers a wide variety of health food options in the form of salads, wraps, smoothies and soups. The company already has 20 stores across the capital, many of which are franchises.